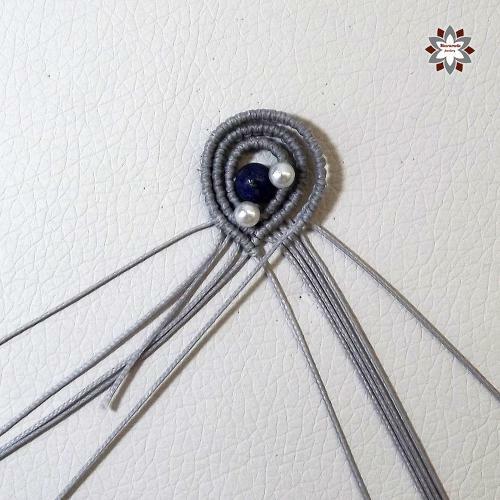 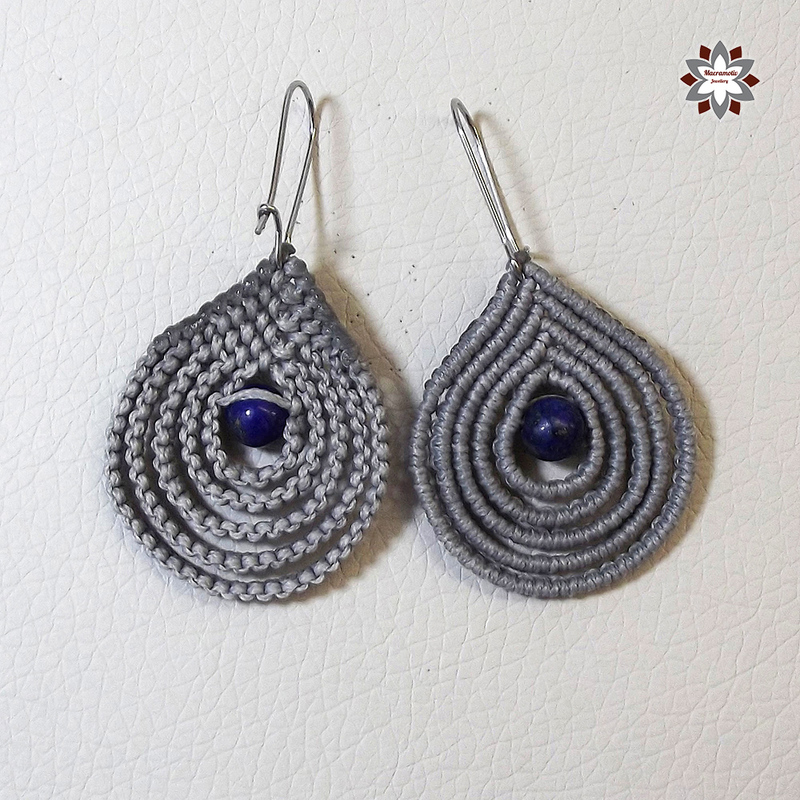 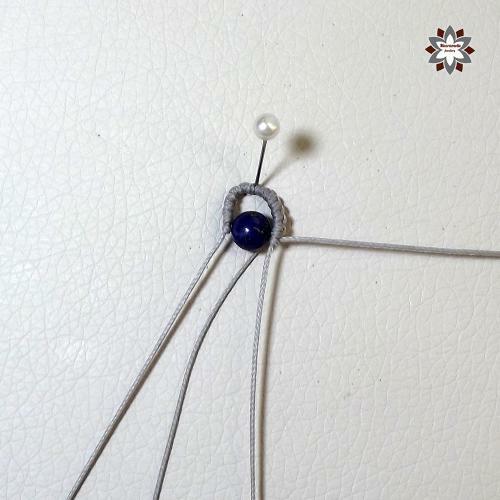 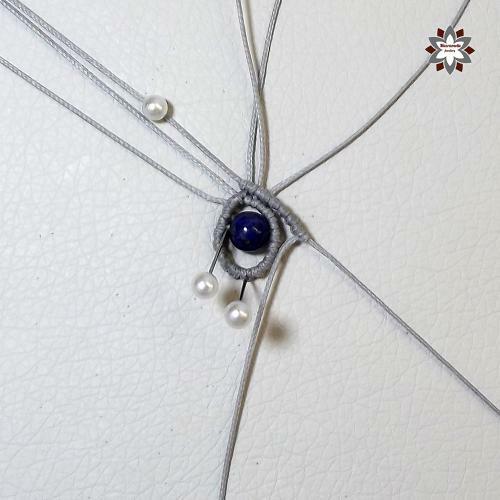 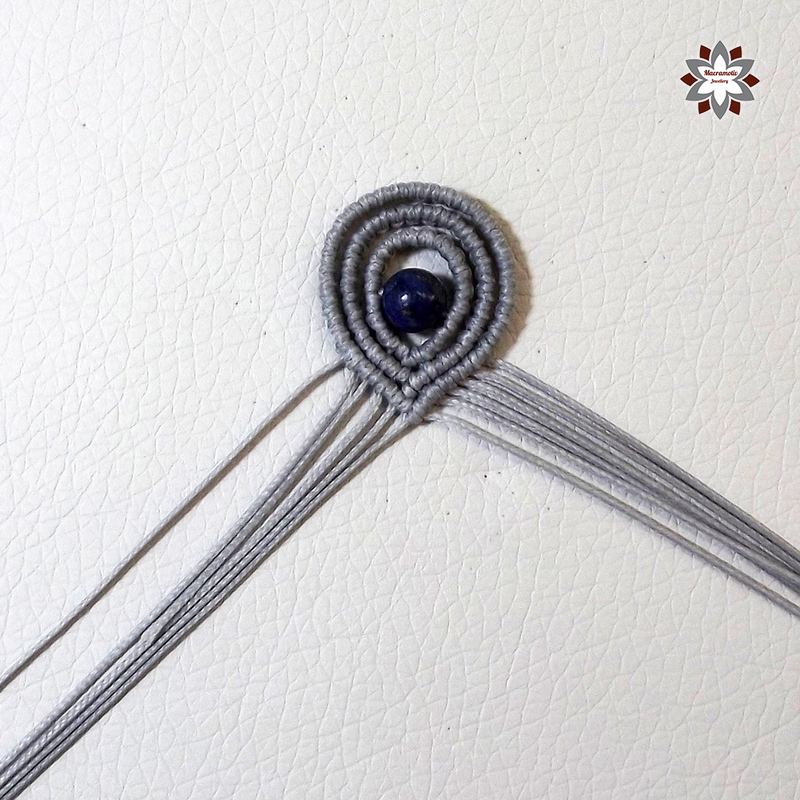 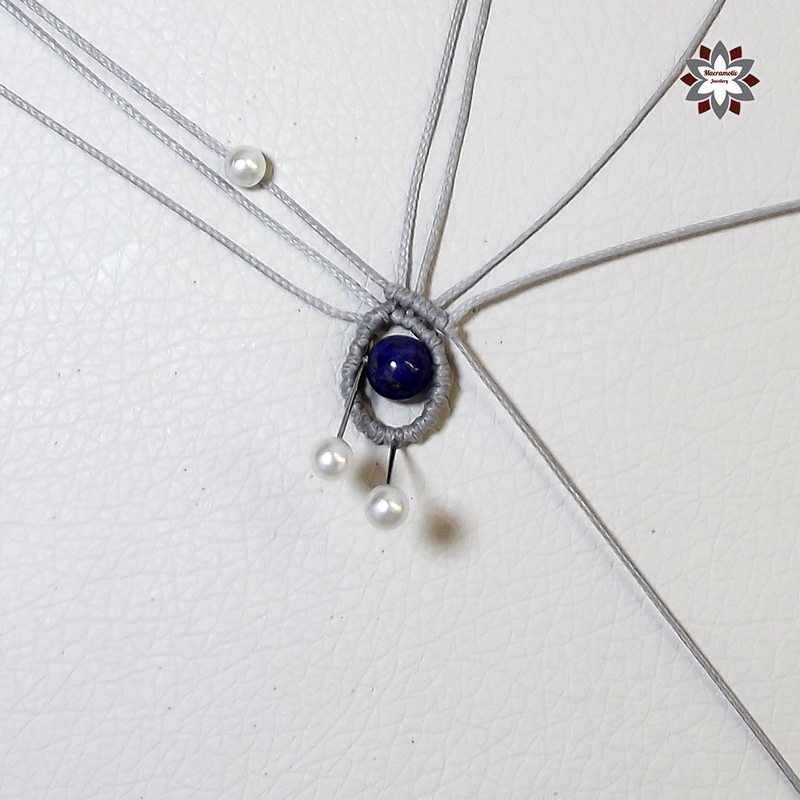 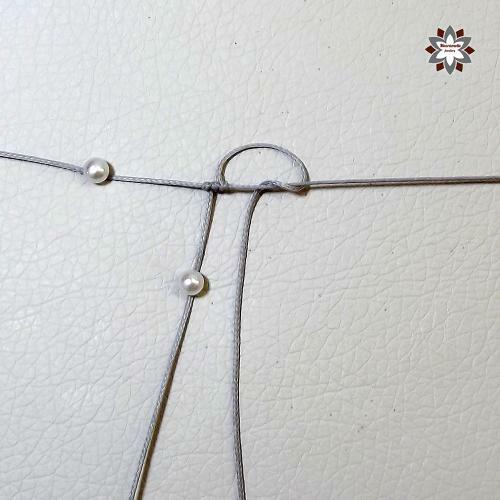 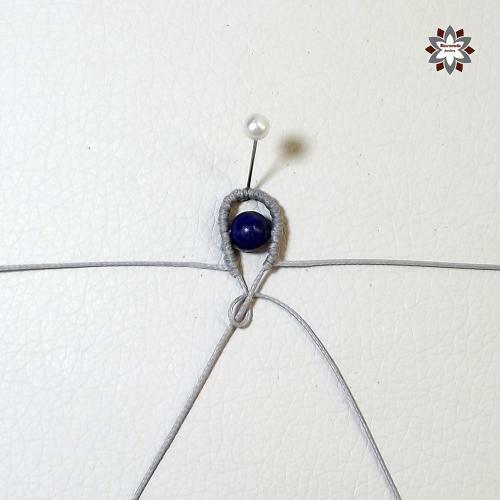 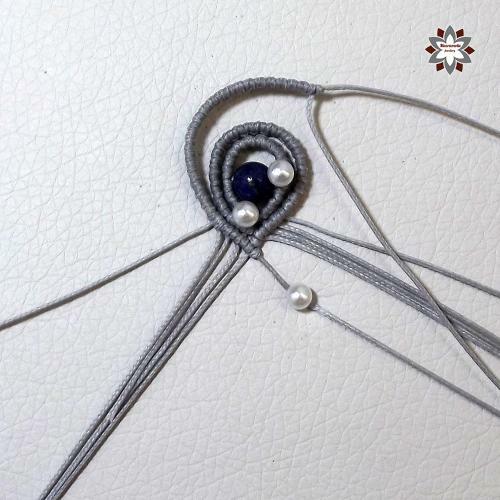 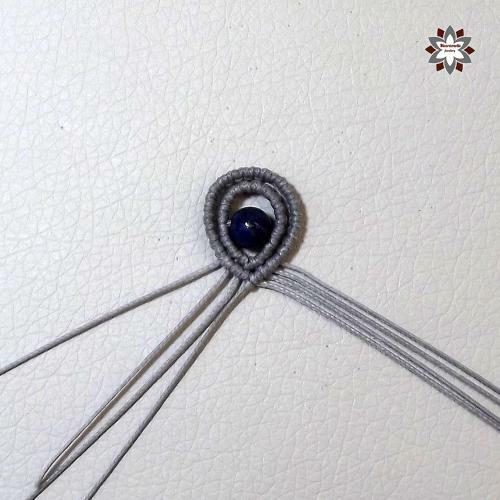 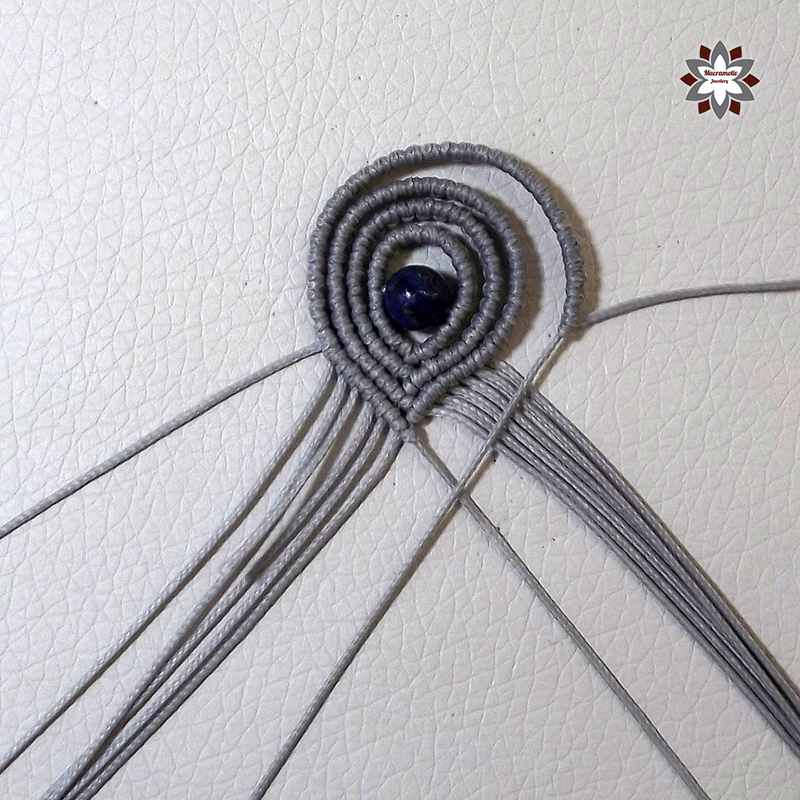 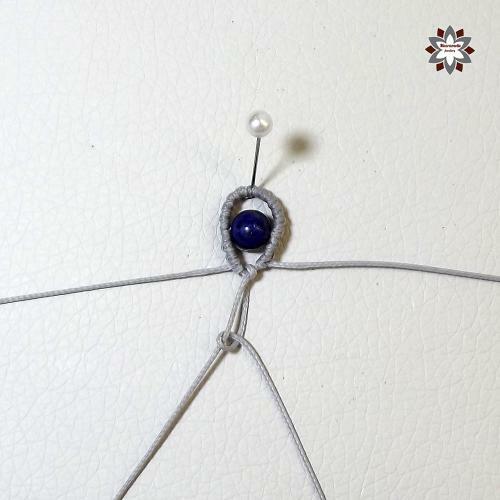 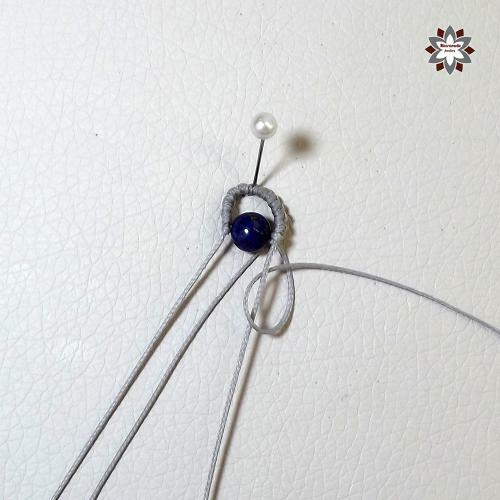 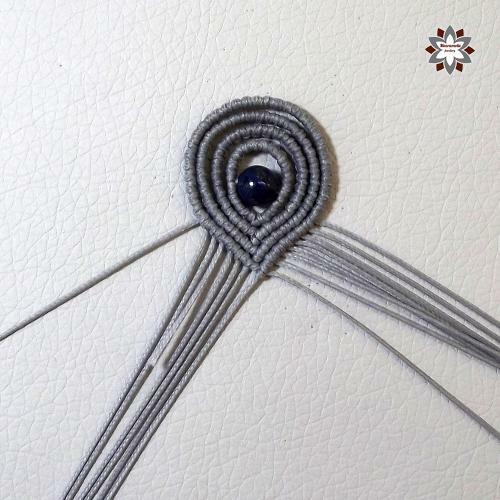 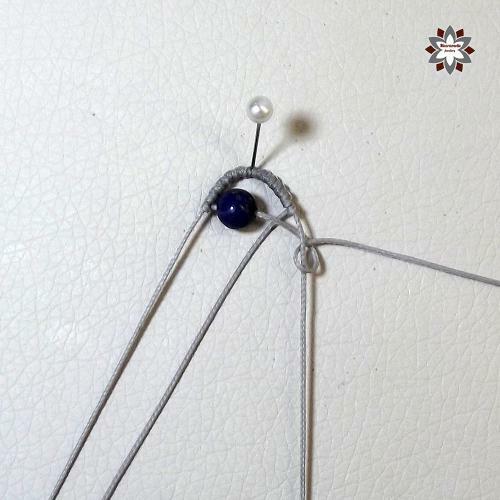 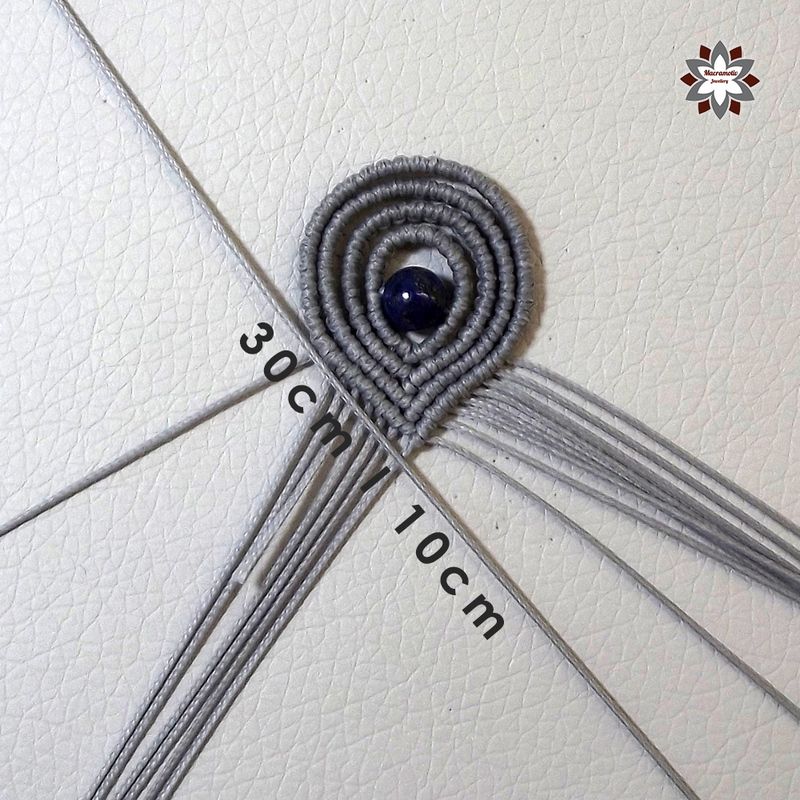 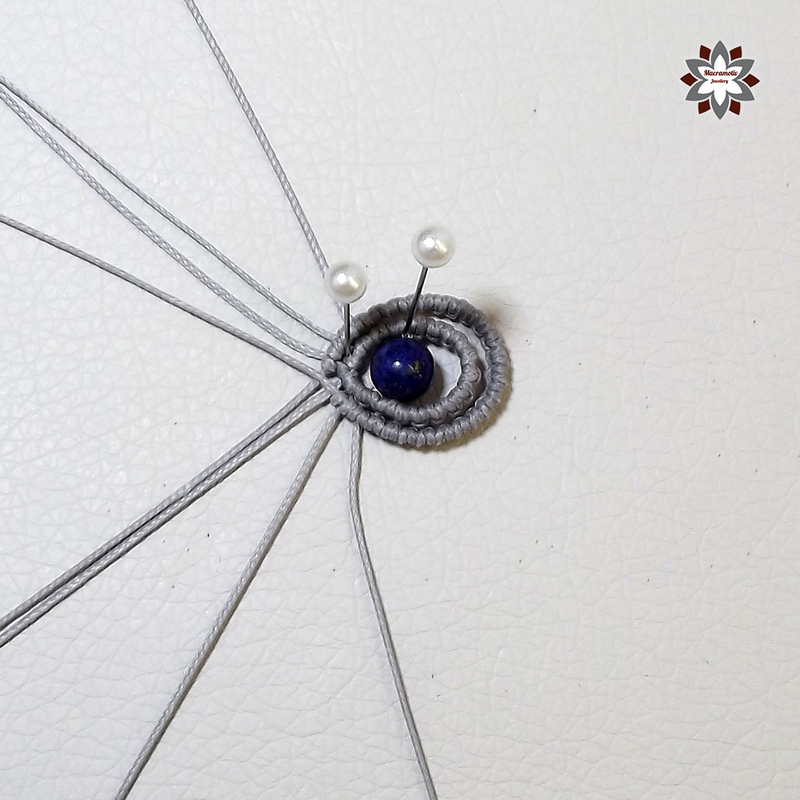 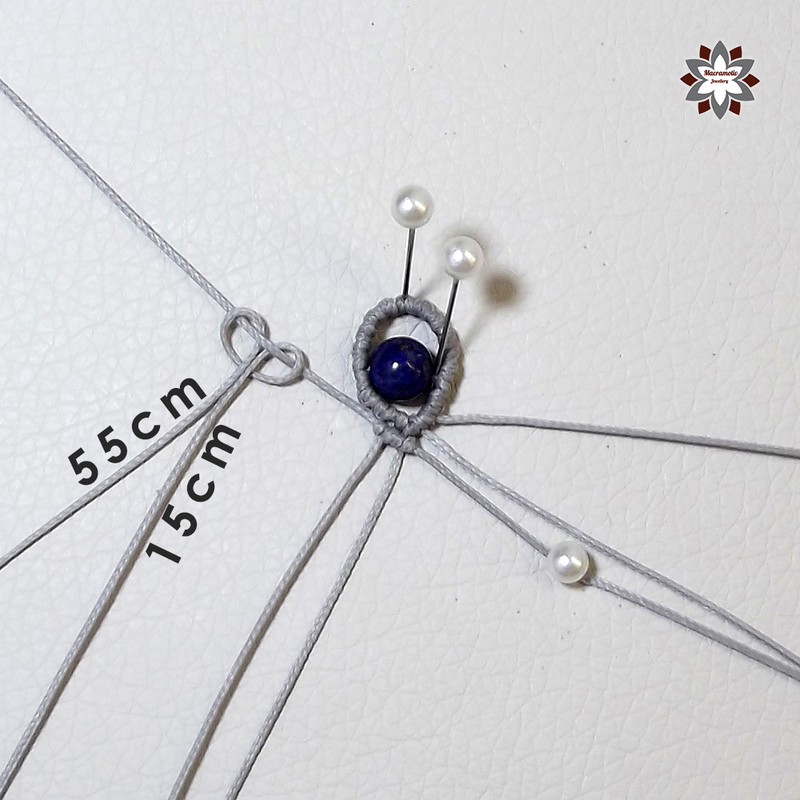 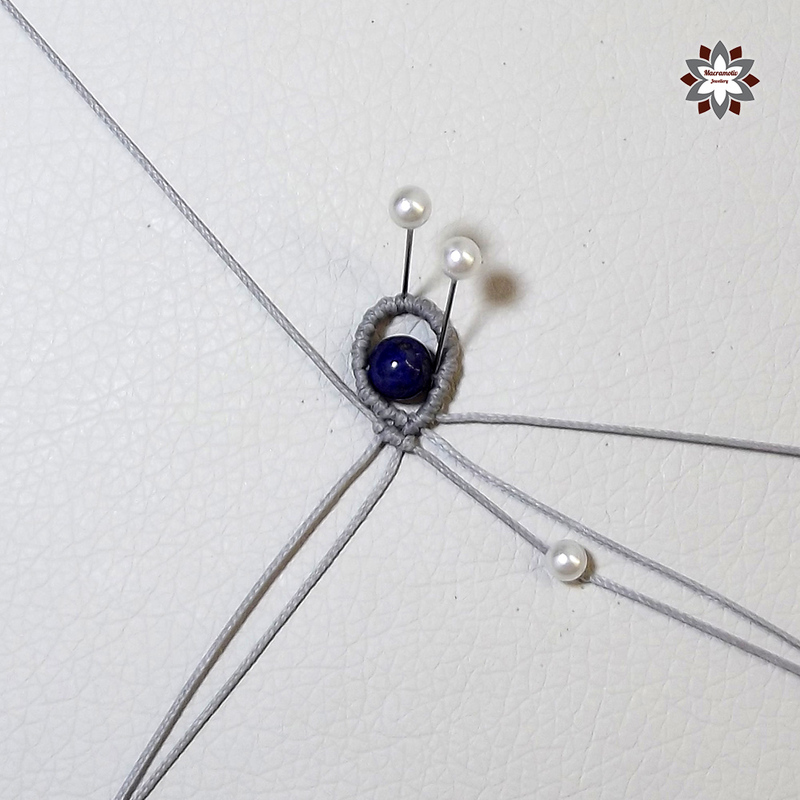 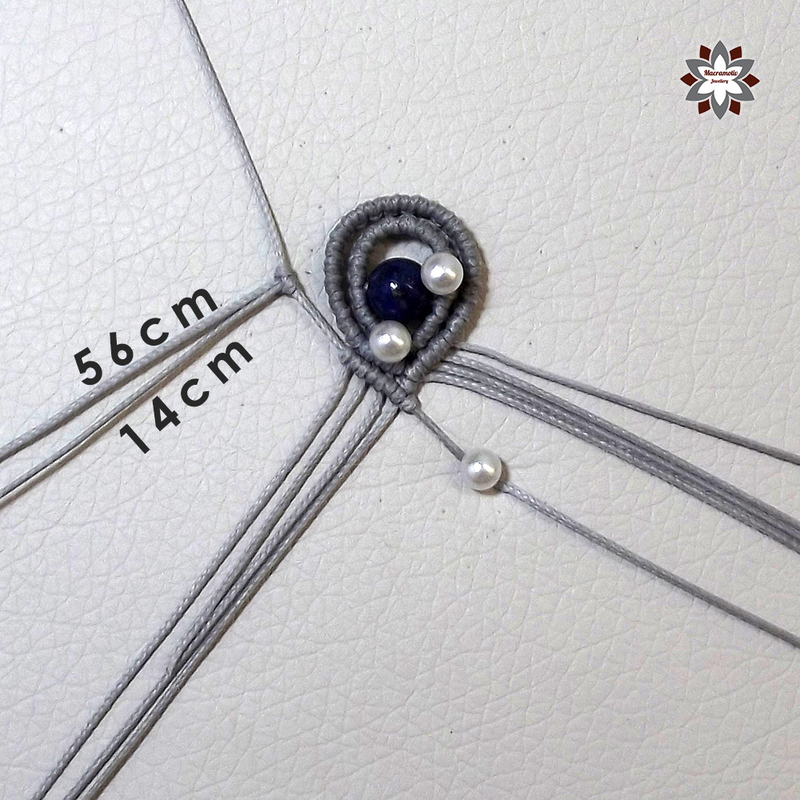 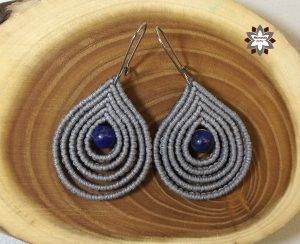 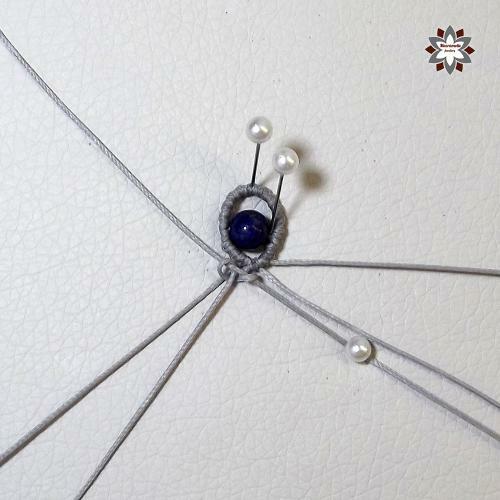 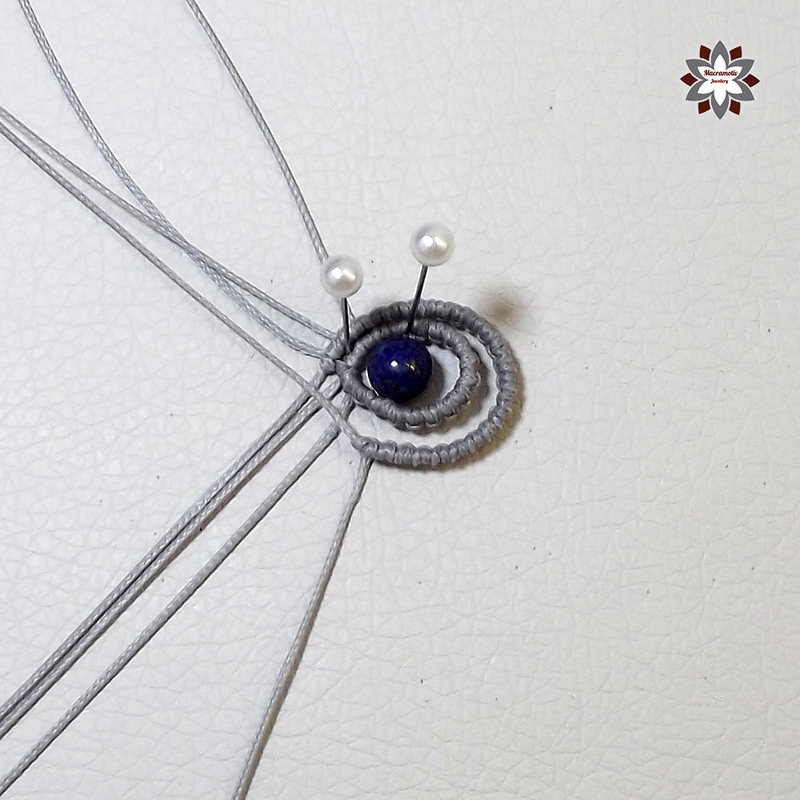 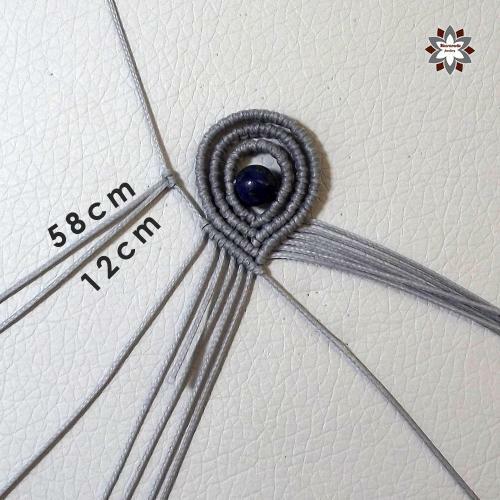 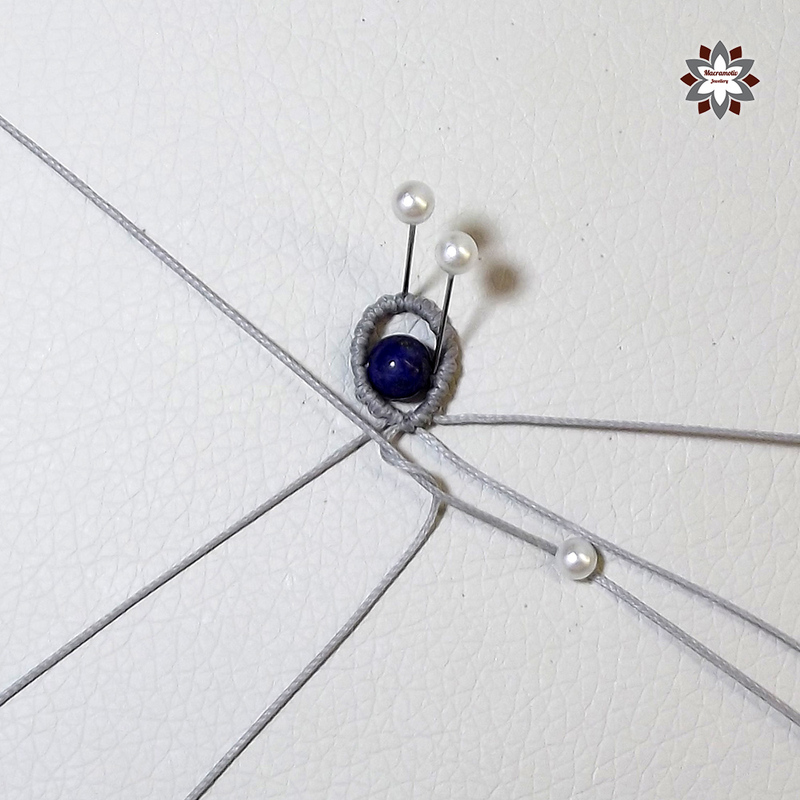 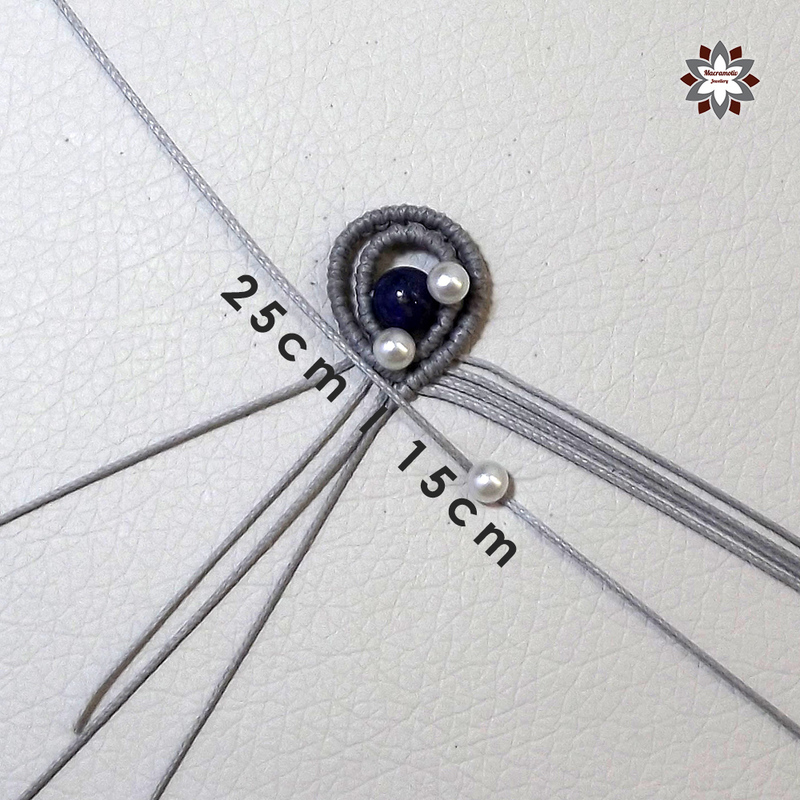 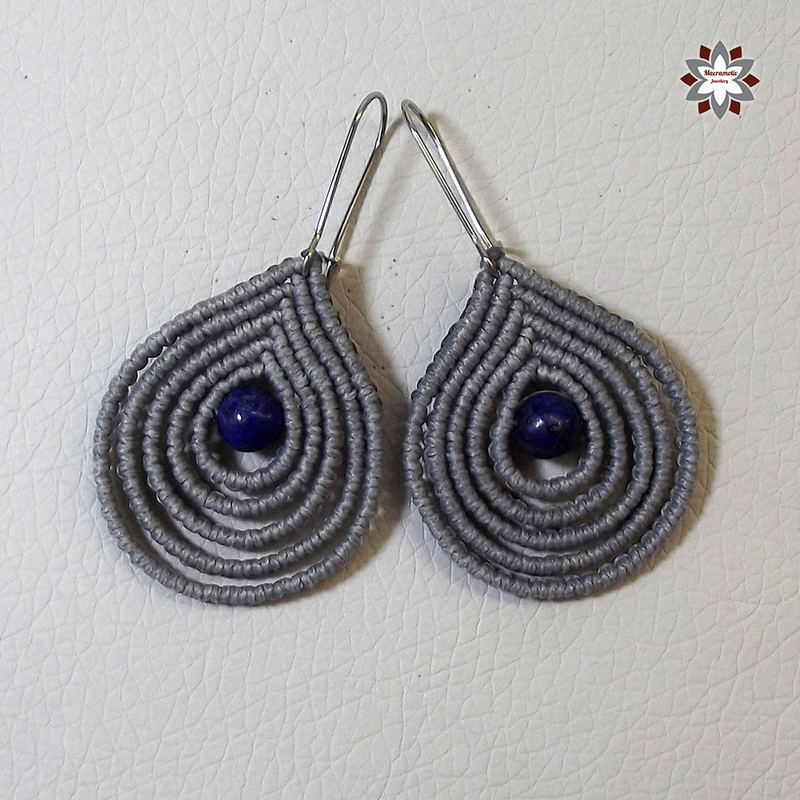 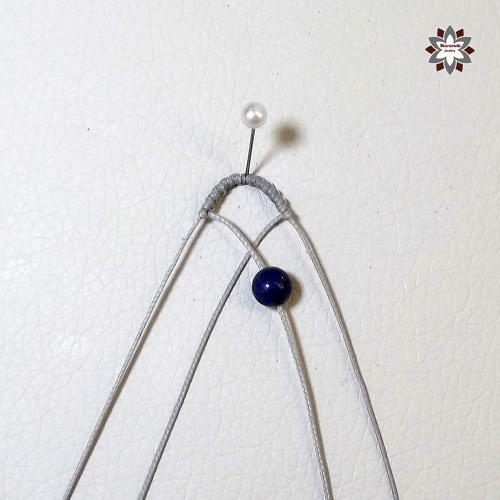 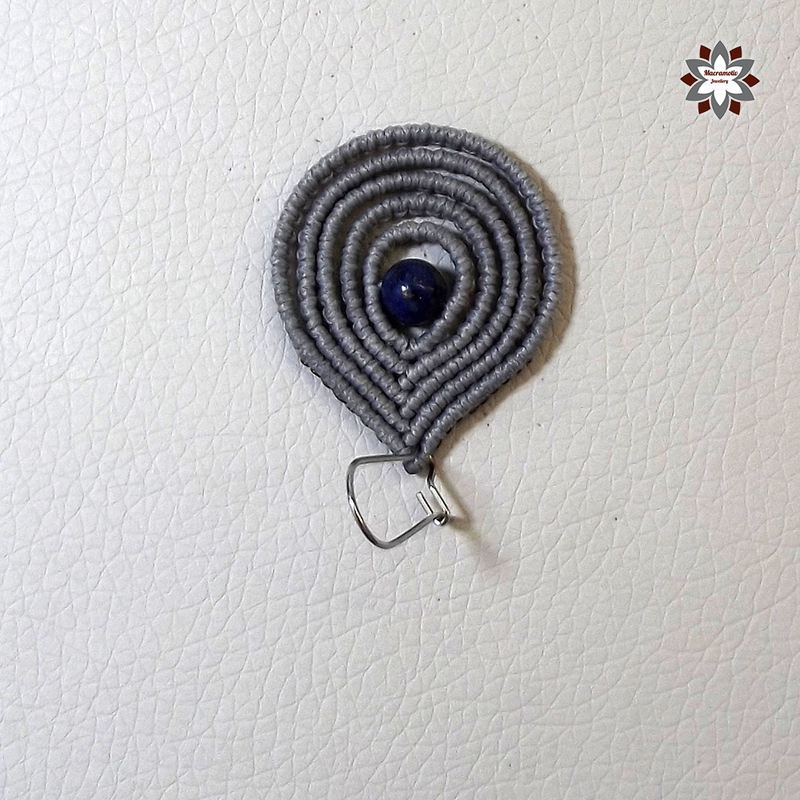 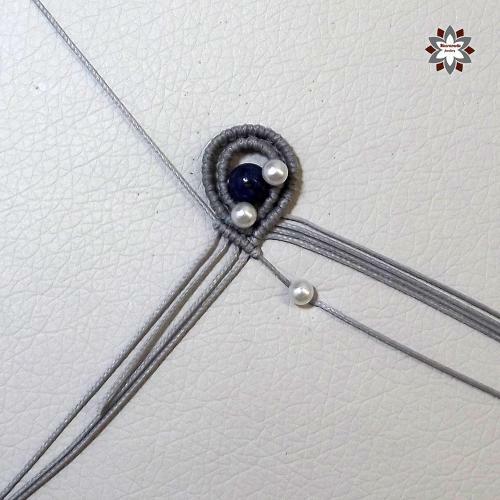 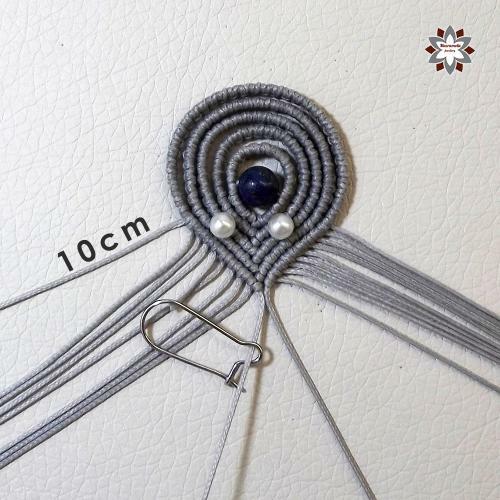 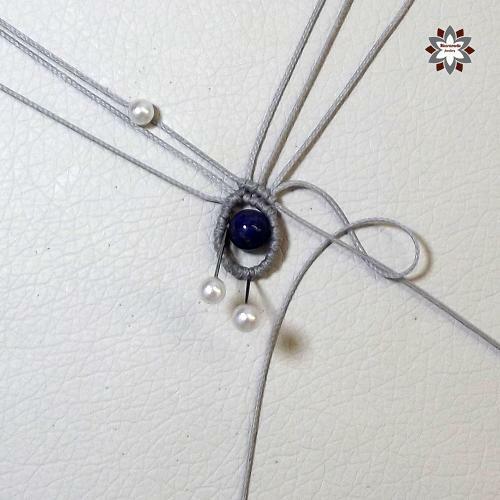 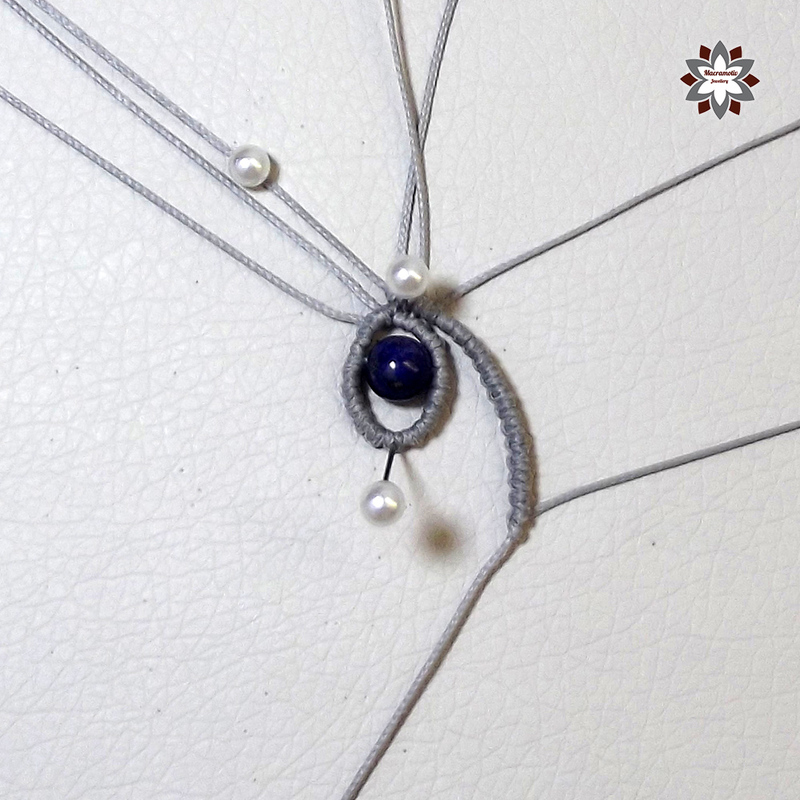 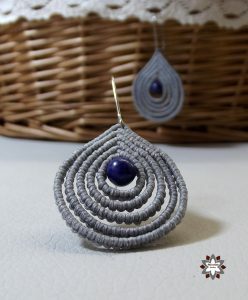 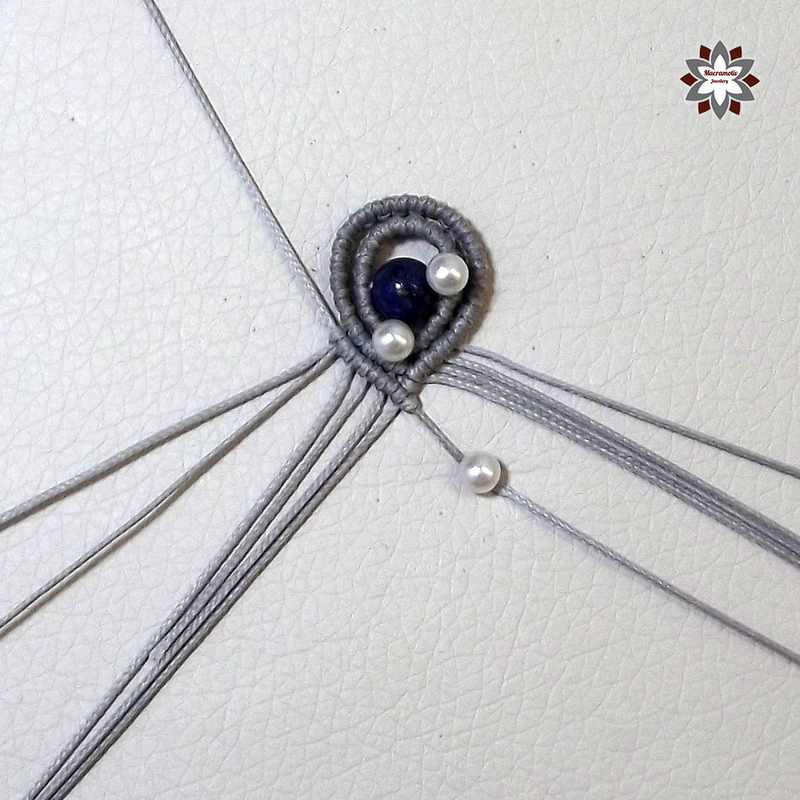 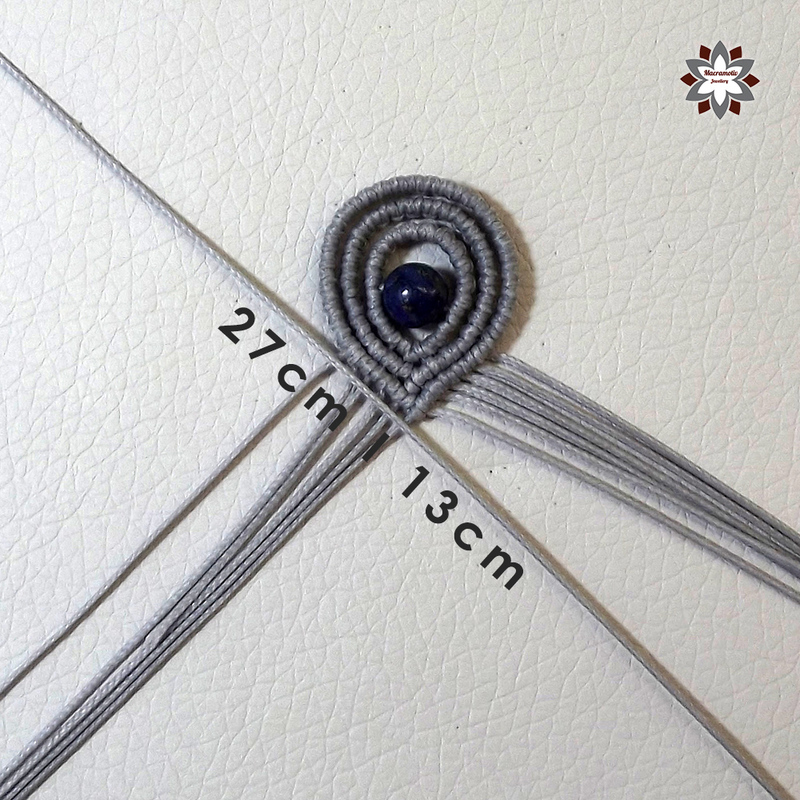 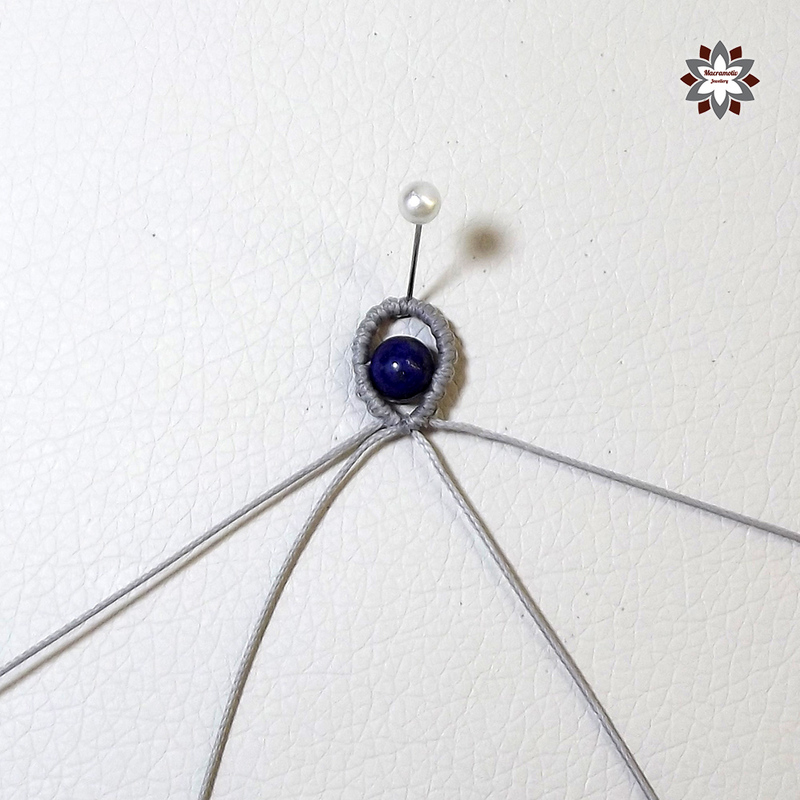 A very simple but attractive earring with a 7mm Lapis Lazuli bead in the middle. I thought it would be better if I would write the length of the thread on the images. 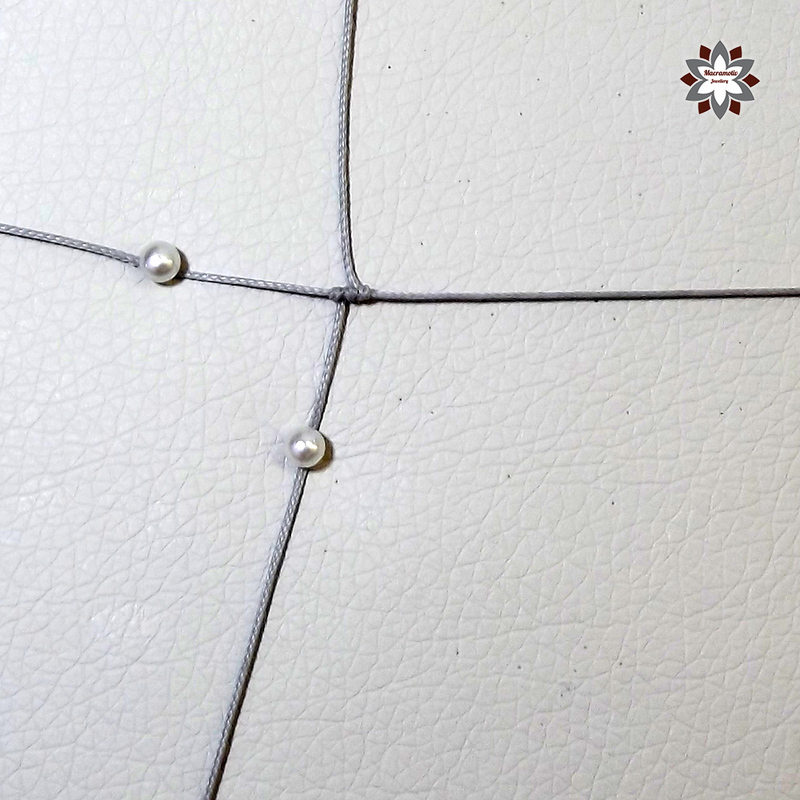 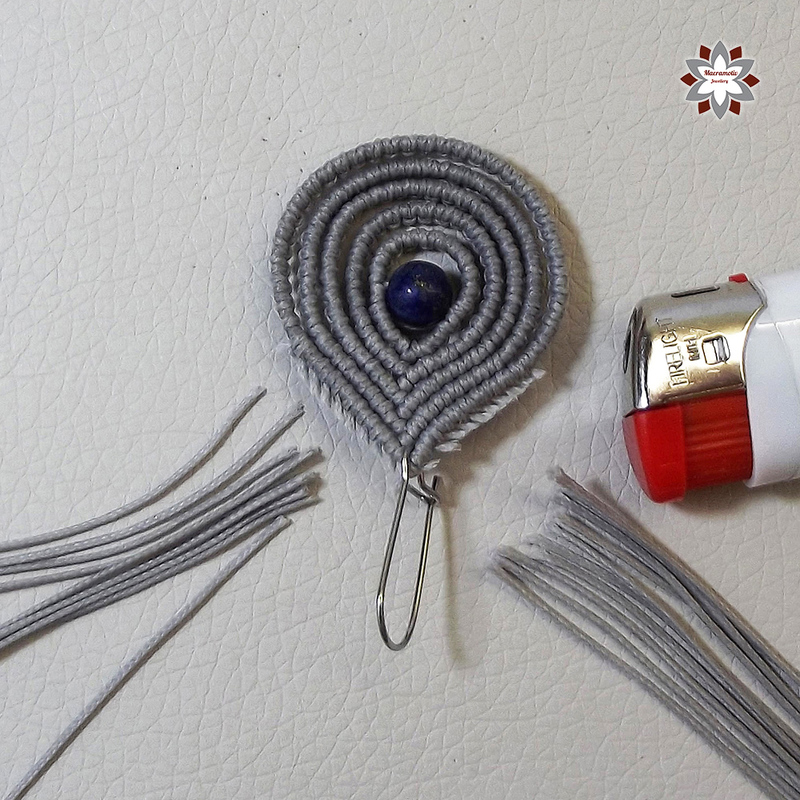 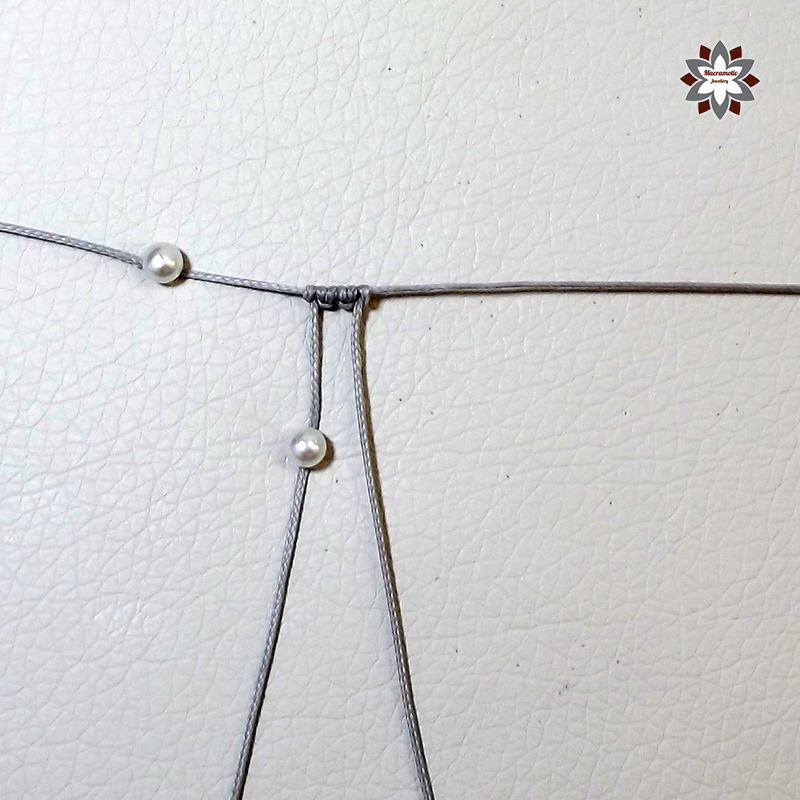 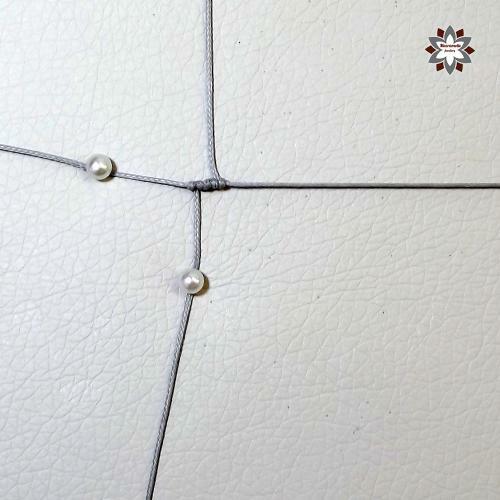 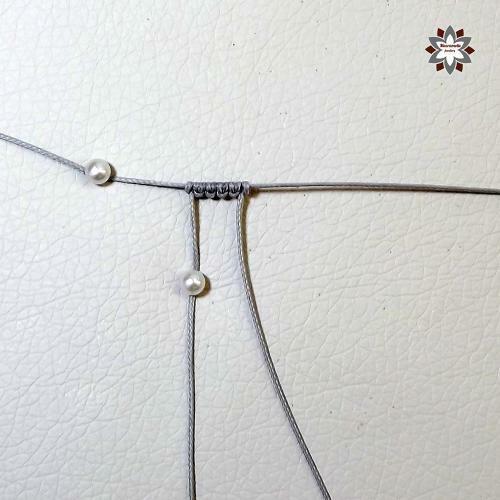 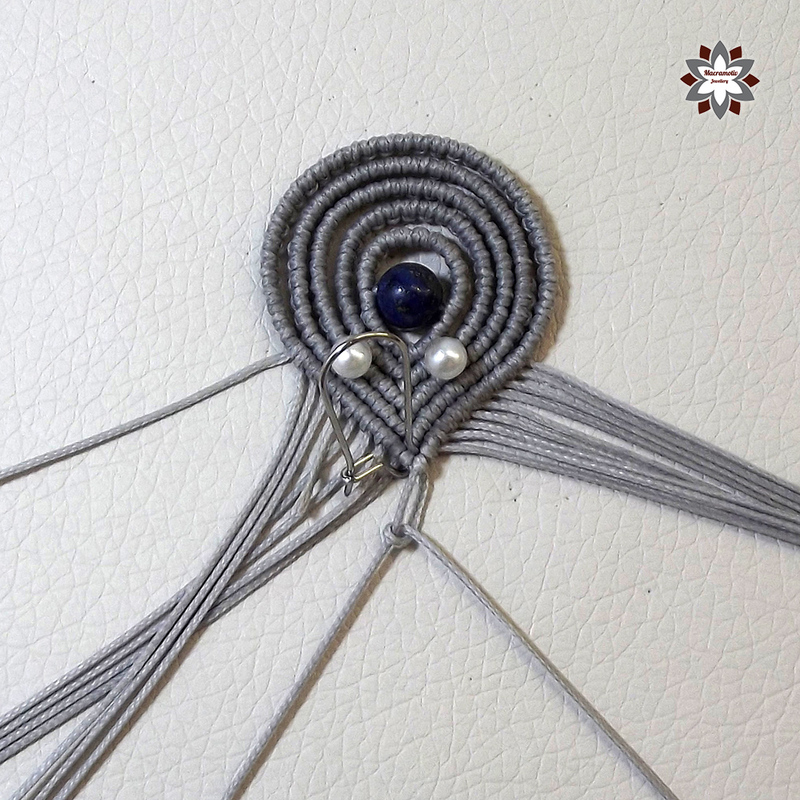 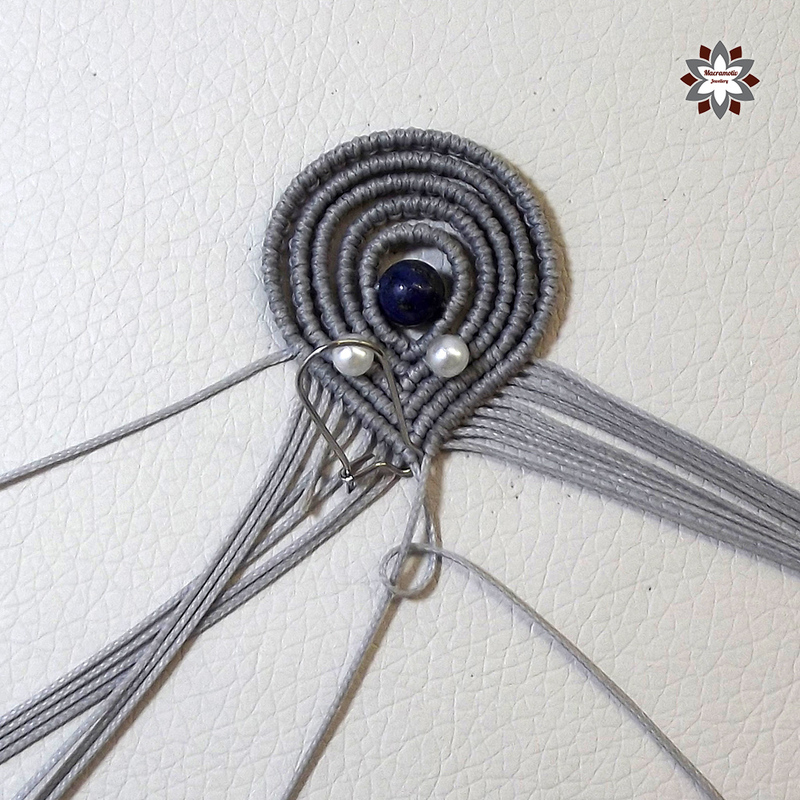 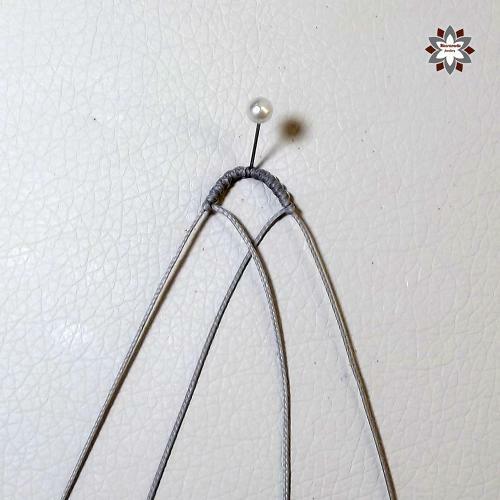 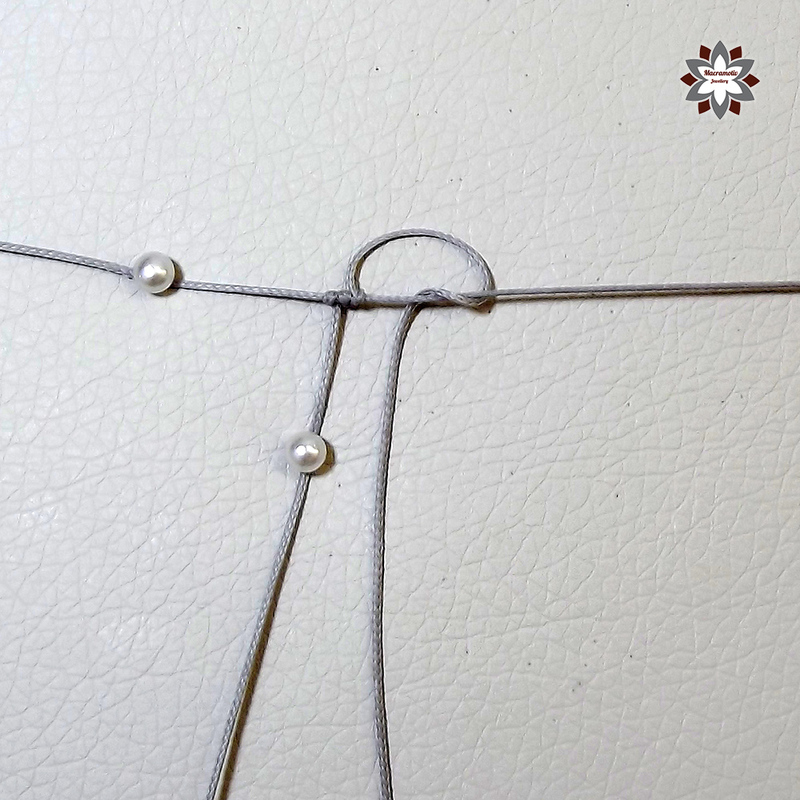 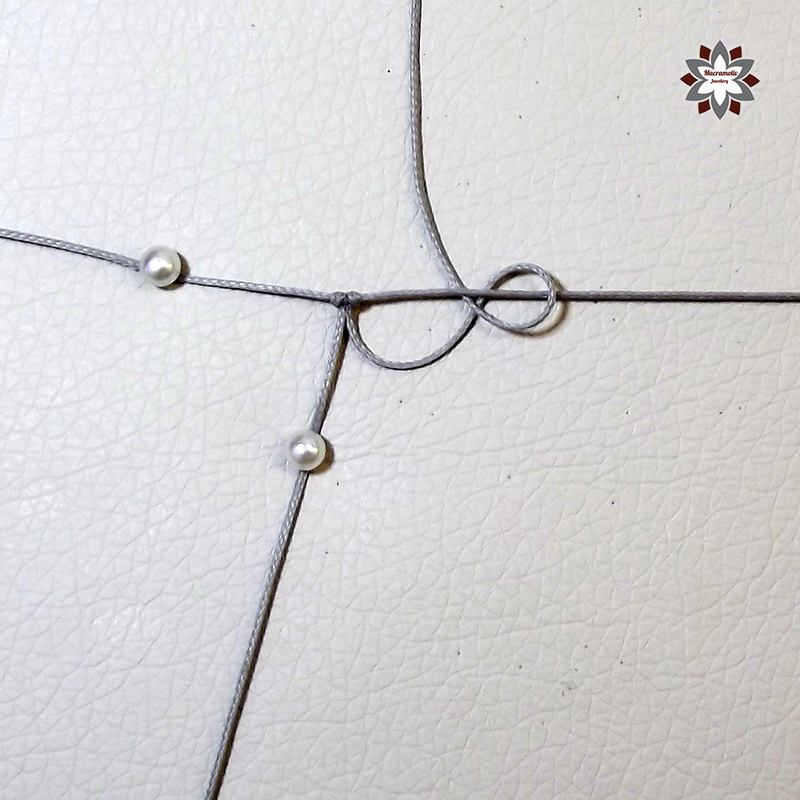 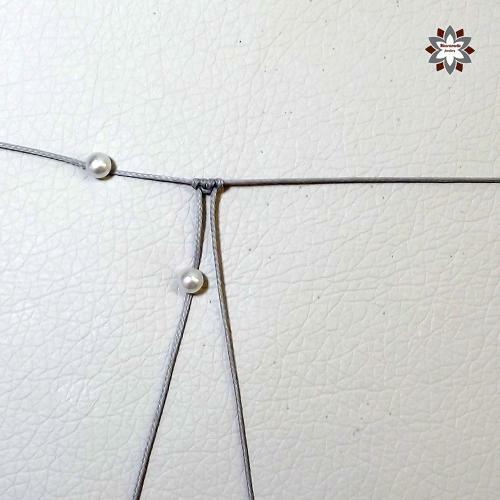 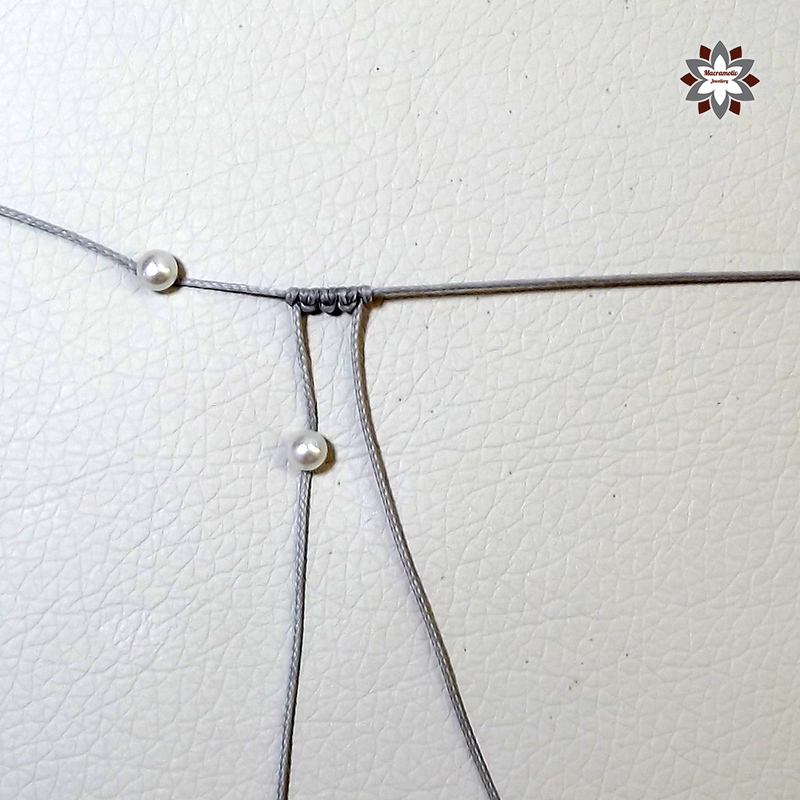 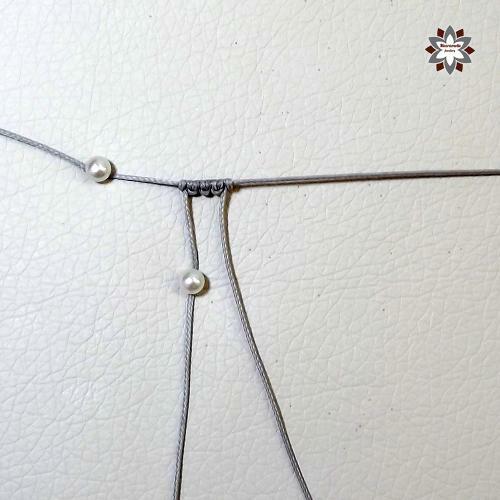 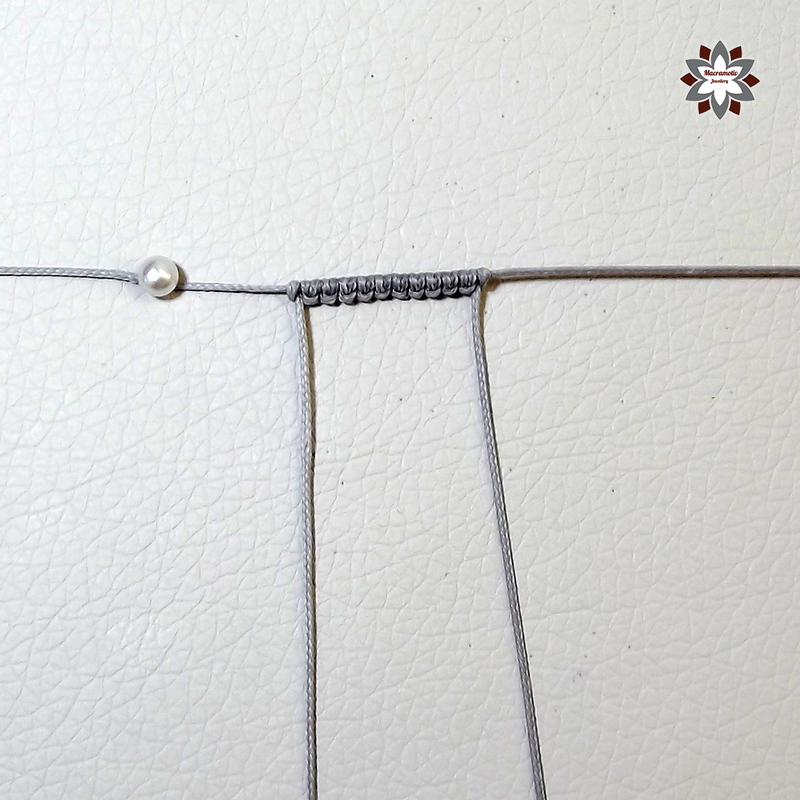 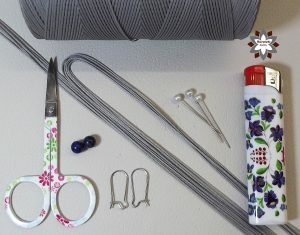 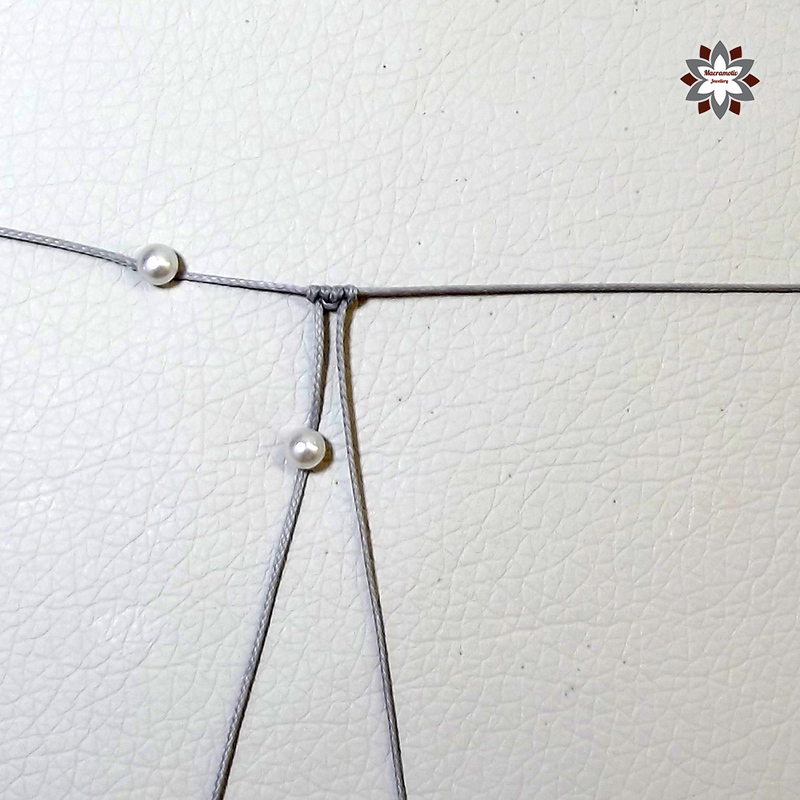 If you would like to make a bigger earring then you only have to add new loops with the same system until you have enough cords to knot with. 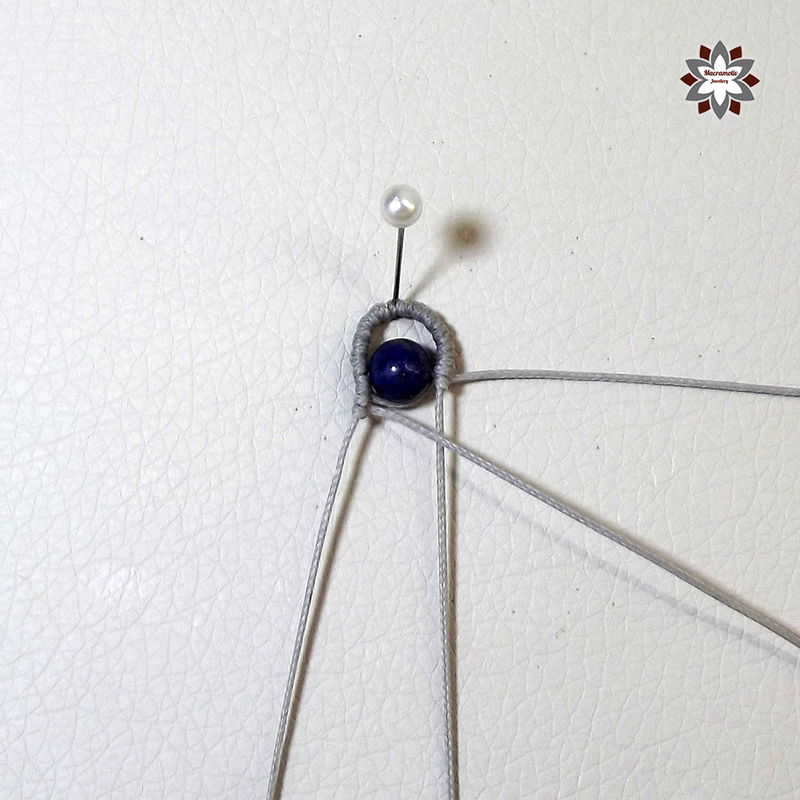 You may even play with adding different colors. What is the board you pin it to? The board is a no more used swimming board. 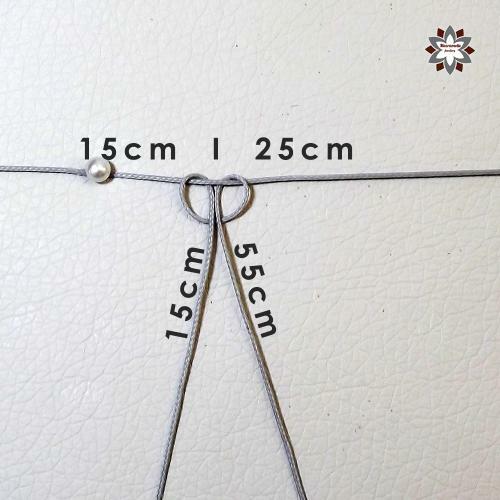 It is about 5cm thick. 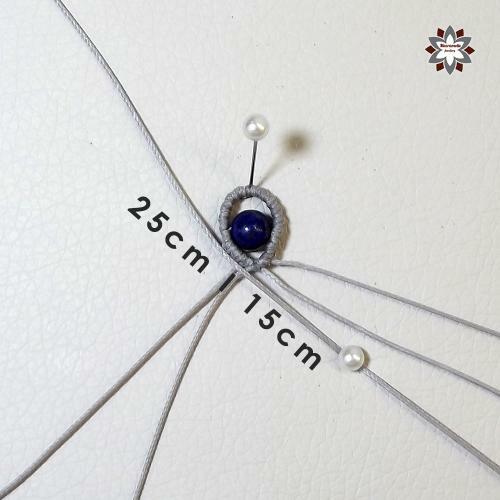 Picture in the FAQ.